President Donald Trump's proposed Space Force would be the first new branch of the U.S. military in more than 70 years — if Congress approves and if it can get off the ground. It's not the first time the idea has come up. In January 2001, shortly before President George W. Bush took office, a commission led by his soon-to-be defense secretary, Donald Rumsfeld, recommended "a military department for space" (PDF). But the proposal, known as the Rumsfeld Report, was largely forgotten after the terrorist attacks of Sept. 11. Trump's 2020 re-election campaign jumped fully in line on Thursday, sending out a letter to supporters offering Space Force-branded apparel for sale "to celebrate President Trump's huge announcement" and asking them to vote on six proposed Space Force logos. In February, China announced that it had carried out a "land-based mid-course missile interception test." While it said the missile that was tested was "defensive in nature," most analysts agreed that it was likely the SC-19, which China used to destroy a satellite in orbit in 2007, or the DN-3, which it used to destroy a test missile above the Earth's atmosphere in 2010. Both nation's systems are considered "strategic space warfare weapons," according to the nonprofit defense think tank GlobalSecurity.org. Private and government military experts have long warned that systems designed to knock satellites out of orbit threaten to cripple satellite communications and U.S. ships' ability to navigate by GPS. The first hurdle will be Congress, which must approve any new military branch, something it hasn't done since 1947, when the Air Force was carved out of the Army's air service. "We haven't put together a legislative proposal," Shanahan said. Trump: Space Force all the way! Deborah Lee James, who was secretary of the Air Force during President Barack Obama's second term, said Thursday that she thinks the idea "will have a tough road" on Capitol Hill. Then there's the opposition of many space and military experts, who warn of the red tape that could wrap up another giant military department. Among them at times has been Trump's own defense secretary, James Mattis, who urged congressional negotiators last year to kill funding for a Space Force, saying in a letter (PDF) to Sen. John McCain, R-Ariz., chairman of the Senate Armed Services Committee, that he was "focused on reducing overhead and integrating joint war-fighting functions." Mattis, who works directly for Trump, has since come around, at least in public. "We are in complete alignment with the president's concern about protecting our assets in space to contribute to our security to our economy," he said at a news conference in Washington on Tuesday. But NBC News reported in June that when Trump revived the Space Force idea, he did so without consulting Mattis and over his private objections. Perhaps tellingly, Trump didn't mention Mattis at all in his speech promoting it that day. "Obviously, General Mattis wasn't sold on this idea," said retired Navy Capt. Mark Kelly, a former astronaut who began piloting space shuttle missions in 2001. "I don't think he still is today, and others within [the Pentagon], as well," Kelly said Thursday in an interview on MSNBC. "I haven't heard of any big fans out there for this." Some of the resistance stems from the fact that the United States already has a Space Command. It's part of the Air Force, and it reports to both the secretary of the Air Force and to U.S. Strategic Command, or STRATCOM, the military's joint structure overseeing the U.S. nuclear arsenal. "You know, the Air Force Space Command already does this. It's at Peterson Air Force base in Colorado," Kelly said. "They do this with about 20,000 people," he said, adding: "It doesn't make sense to build a whole other level of bureaucracy." 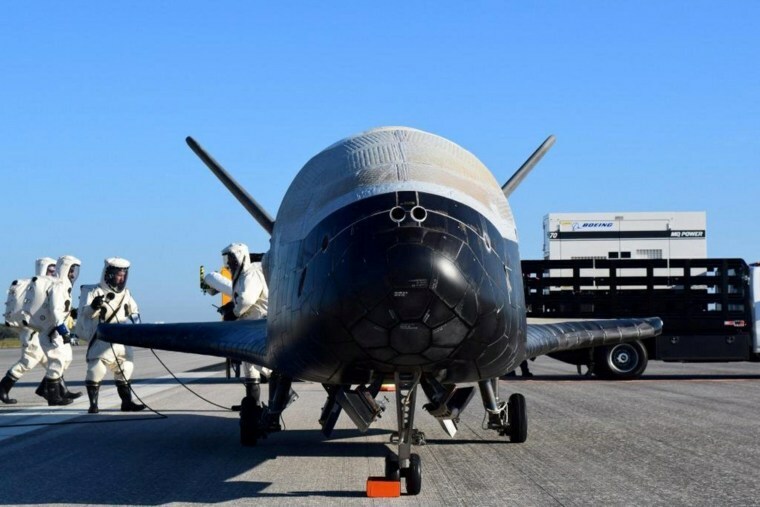 The proposal outlined Thursday doesn't say what would happen to Air Force Space Command, but the Defense Department's report suggests that it would be combined with other government military space programs, initially under the leadership of the head of the current Air Force command. That would make the Space Force, at least at first, a central repository of mostly existing government initiatives. And that off-the-shelf approach is reflected in Trump's plan to ask Congress to appropriate $8 billion over five years to establish it. That's less money, spread over five years, than the $12.5 billion that the Defense Department requested for military space programs in the budget simply for fiscal year 2019 (PDF), which Trump signed in March. And it's less than half of the $20 billion proposed next year for NASA, the civilian space agency. "The question is: 'Will it be workable, will it be a smooth, well-oiled machine?'" James said. "I think the answer is no." Kelly said: "The only person that I've heard say this is a fantastic idea is the commander in chief, the president of the United States. Everybody else says it's redundant, it's wasteful. We don't have the need out there right now."